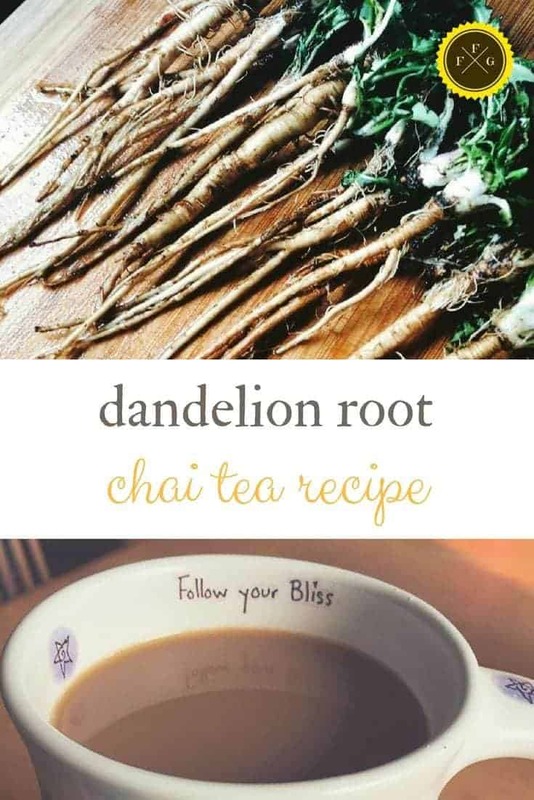 This homemade chai tea recipe uses dandelion roots for a healthy twist on traditional chai tea. 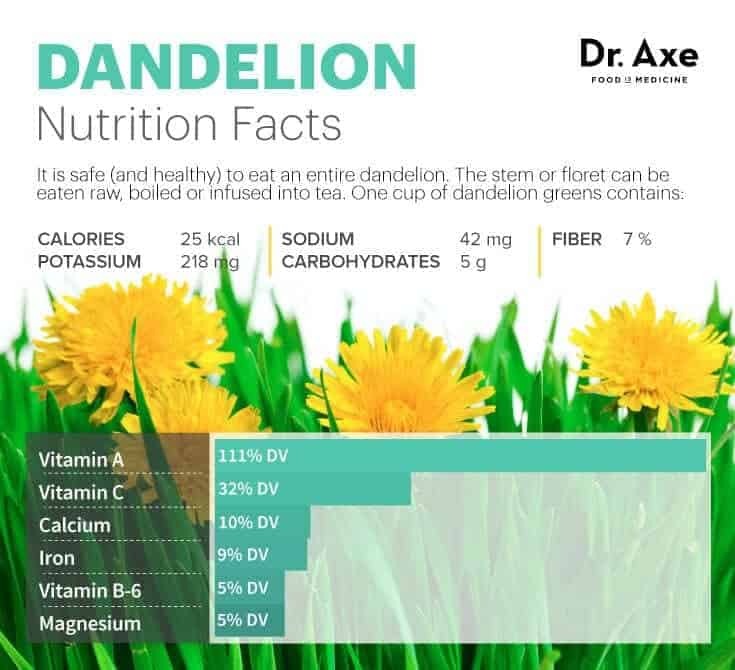 Dandelion roots have many health benefits, you can read the full benefits of dandelion root tea from Draxe. It didn’t take us long when we began living close to the forest to see the benefits of wild plants. We began foraging and learning wild crafting skills. We discovered 10+ types of ‘weeds’ and wild edibles. If you would like to learn more I highly recommend this online course. So long as the weeds you have access to are not sprayed there is a ton of healthy wild free food out there waiting for you to munch on. 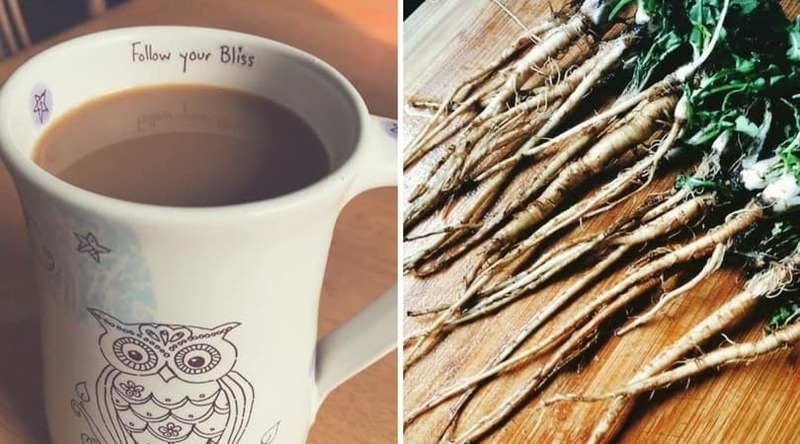 If you don’t want to forage for dandelion roots you can also buy dandelion roots. Most local health food stores should have them dried or fresh, and you can also order them online from herbal websites like mountain rose herbs. Be 100% sure you know what your harvesting. You need to make sure that you have the proper identification. Don’t harvest from the roadside or railways because of increased ground contaminants and pollution. Be sure that your wild weeds and edibles haven’t been sprayed. This is common for dandelions in public spaces. Don’t take it all, there are other species that enjoy wild plants. Our family enjoys foraging for wild elderberries to make elderberry syrup and elderberry wine. We dehydrate nettle tea and even leave it growing in the empty areas of our garden as a perennial, make nettle fertilizer tea for the garden. We’ve eaten raw and sautéed dandelion greens, dehydrated dandelion roots and chicory root for tea. We harvest lambs quarter leaves to eat and plantain to make medicine. I leave a patch of chickweed in the garden and greenhouse to harvest for the chickens to reduce feeding costs. We love finding wild roses in the spring to make this great rose food and body care recipes. 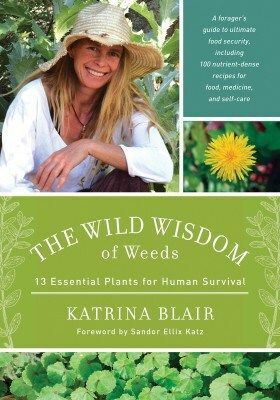 Katrina Blair author of ‘The Wild Wisdom of Weeds: 13 Essential Plants for Human Survival’ completely captivated me with her book. 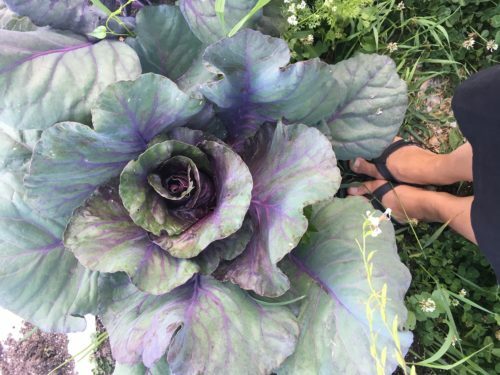 Katrina Blair opened my eyes and heart to a new level of limitless opportunity with these wild plants. She writes with an in-depth global experience of using and connecting herself with 13 wild plants that many people would consider weeds. Weeds is such a derogatory term for these plants. They are masters of survival optimizing their surroundings in a way other plants cannot. They are full of essential vitamins and minerals, many have deep taproots that pull deep within the earth for minerals long gone in our modern top soil. 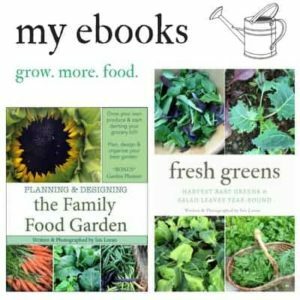 This book is so full of valuable and useful information, from different taxonomies within each weed plant, to self-care, medicine, and over a 100 healthy recipes. This book flows with a unique and deepened perspective of how we can view and use the plant world, complete with some beautiful poetry and useful photographs. The recipes are alternative and full of vibrant life for the body. She goes into the history of each plant (which I loved so much), where you can find them and how to use each one. Many of these plants are eaten not just for the leaves, but also the roots, stems and seeds and the recipes reflect this. Many of these plants also have wonderful medicinal qualities that are explained in great detail. 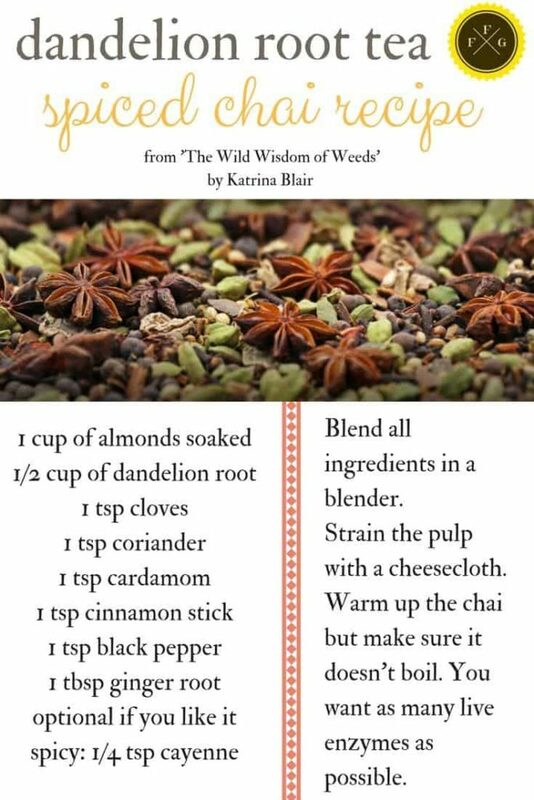 Here’s a recipe from her book for a spiced dandelion root tea. You could buy a caffeine free chai mix too for the spices if you didn’t want to create your own, but this recipe is very simple. 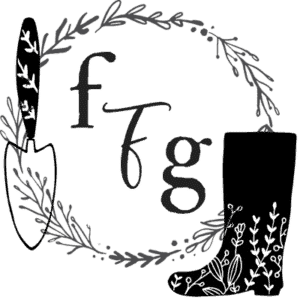 Would you like to learn more about wild plants? 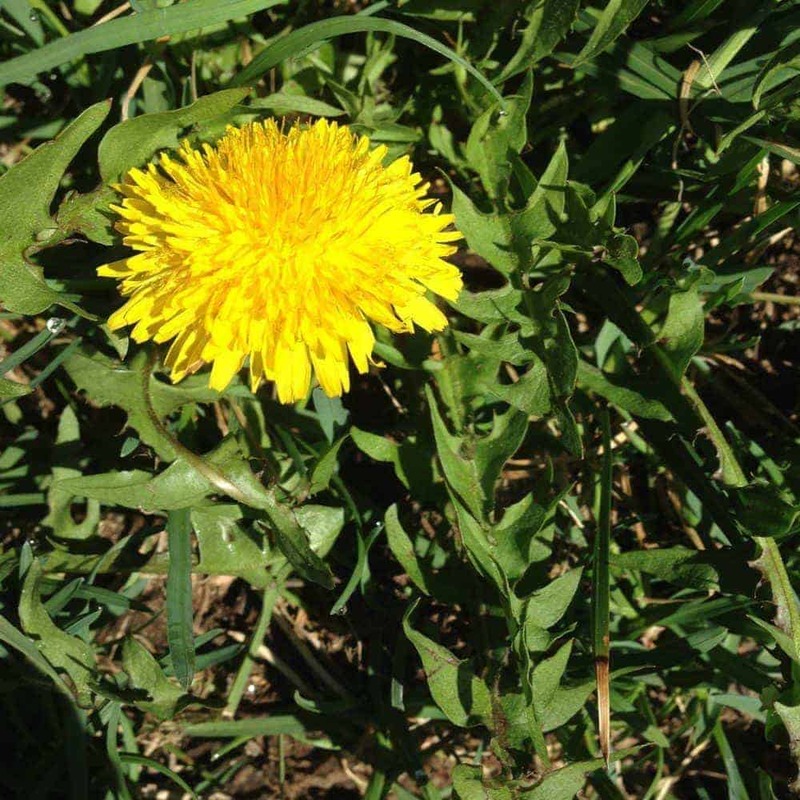 Wow, I never realized dandelions were so rich in vitamins. I actually just bought a vitamin A supplement recently – I could’ve just pulled some dandelions instead! Haha.